Just your typical American family. Two parents, two kids… and a spectral grandma. The eponymous Norman is a bit of an outcast: he’s bullied at school, harassed by his father and sees dead people. Wait, what? Yes, Norman takes a page out of The Sixth Sense‘s play book insofar that he can see the deceased as ghosts. Not only this, but he can talk to them and yes, you guessed it – no-one else can. The premise of the film, once we get over the alienation pretense, is that Norman is tasked with preventing a witch’s curse from resurrecting the dead in zombie form. And I won’t be ruining anything by saying that the lack of belief by the townsfolk results in the dead rising and creating merry mayhem. Now from first glance this should automatically be flagging up some issues for a “children’s” movie where there are ghosts and the undead at play. But the film gets incredibly emotional and poignant towards its climax too. Not in the Up way, but it still resonated strongly with me. It also brought up some rather mature “adult” issues in the closing five minutes too that provoked several youths to exclaim “WHAT? !” (when you see the film, you’ll pinpoint this moment fairly accurately). All this being said… is the movie any good? After all, that’s why you’ve come to Film Phage isn’t it? Well it is a good movie (a very good one)… but it’s not a great one. Although the film runs in at just over 90 minutes, I felt that the first act took an absolute age to develop. Yes, we understand that Norman is an outcast that leads a sombre life, but it was very plodding. I’ll admit that this added a lot of emotional weight and poignancy to the film’s pay off at the end, but it still seemed laboured. The film never gripped me in a way that so many others (both animated and not) have this past month. And I bloody love zombies. However, what the film does do right, it does in spades. Firstly: those visuals. The film employs an absolutely beautiful use of stop-motion to create a world that’s alive and bustling. 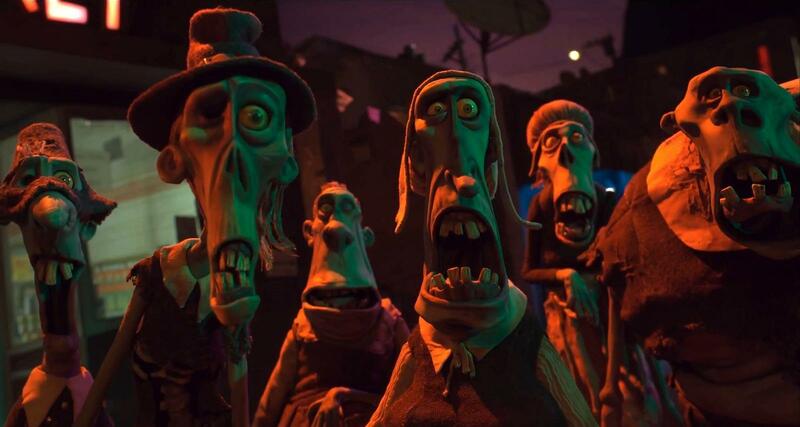 This isn’t Wallace & Gromit “clunky” stop-motion – this is a seamless use of the technique. Every set and character looks lovingly crafted and created and there’s no doubt that a lot of effort has been spent making the world so rich. And if you’re recognising that “look”, then it’s because it’s come from the makers of Coraline – another movie that was marketed as a “children’s” movie, but dealt with much more mature issues. Less button eyes in this one though, and much more limb severance. 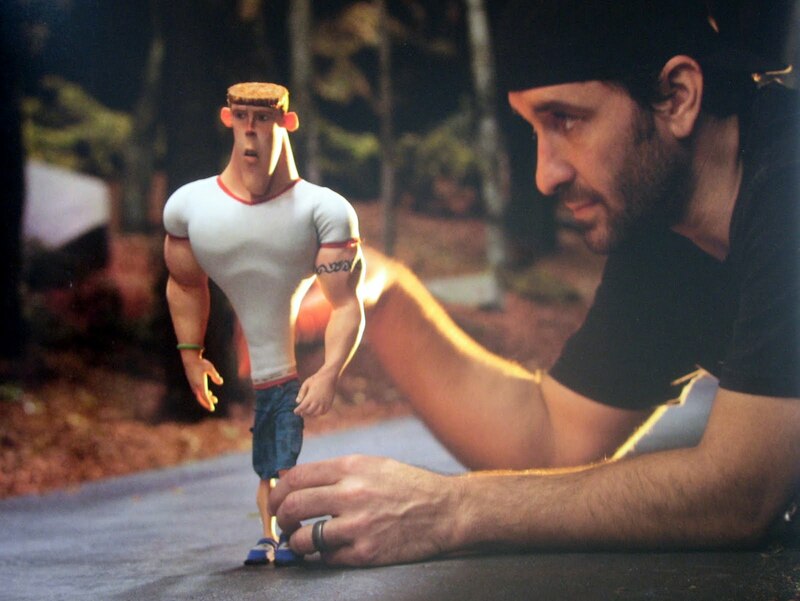 Painstaking work that contributed to a truly beautiful film. In terms of voice work, it’s all perfectly suited to the film, though I’m loathe to comment on someone’s “acting” abilities when they’re contributing voices. If you’re looking for “big name” talent, then there aren’t any true A-list tent pole names to draw you in. There’s Christopher Mintz-Plasse, Casey Affleck and John Goodman, but there’s no single huge star, and for me that’s no bad thing at all. It allows the film-makers to focus on the entire cast as opposed to featuring one character heavily just to justify paying the A-lister’s fee. “So the film looks good, it sounds good, but it’s got a stilted first act? Is that it? Is that why you’re not raving about it?” Well yes and no. I just failed to really latch on to the movie as a whole. The story is entertaining, but isn’t what I was expecting entirely. It was all a little too downbeat for me with too few smiling moments and even less belly laughs (though there were some to be had). Ok, I never expect a zombie story to be a laughter riot, but this film is clearly aimed at the younger demographic – and they weren’t laughing either despite me being in a packed screening. So there’s your word of warning: it’s an oddball movie that I’m struggling to classify. It was a good, enjoyable film, but its sombre tone also dampened my happiness. I can’t yet say if it’s the best of the glut of “children’s Halloween movies” hitting cinemas right now, but I certainly doubt it’ll be the worst. It’s poignant, beautiful and bewitching, but just lacked that spark to really captivate me.